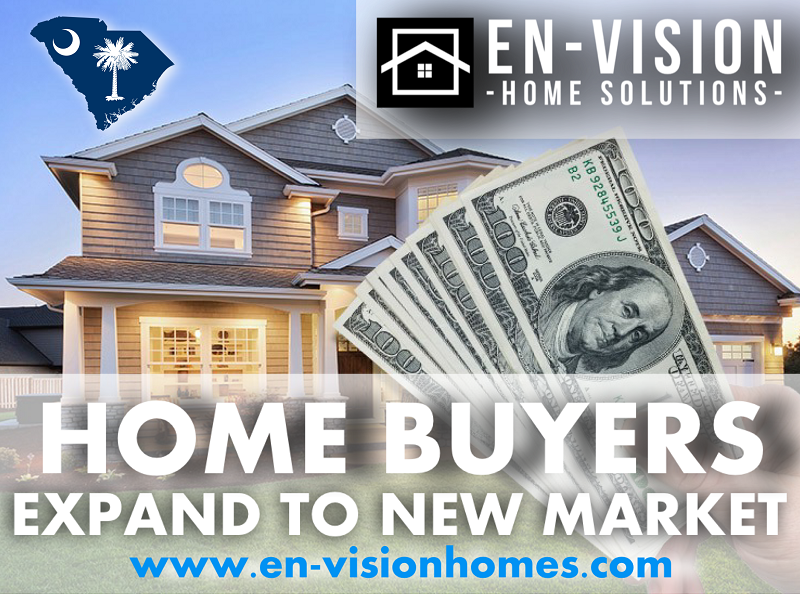 COLUMBIA, SC , UNITED STATES, April 5, 2019 /EINPresswire.com/ -- En-Vision Home Solutions, a South Carolina based real estate home buying company recently announced the expansion of their service to the Atlanta market. After gaining a fair market advantage in the South Carolina area. Ben Lovro has decided to take the standard operating procedures from the Columbia SC operation, and replicate the systems and processes. By bringing on a team of innovative goal seekers, Ben has managed to scale the company over the past couple of years. Having laser-sharp focus, meshing it with massive action, the team at En-Vision has been able to help homeowners in the greater South Carolina area by purchasing their homes for cash in as little as 14 days. Their "We Buy Houses Columbia SC" tagline has earned them the fair market advantage in their local network. One of the key benefits that En-Vision Home Solutions has to offer is that they will purchase just about any house, in any condition. When people ask themselves, How Can I "Sell My House Fast Columbia SC" They help homeowners in a variety of different situations by providing speed, efficiency, and fast cash to the closing table. Buying and selling houses truly is a valuable business that helps to revitalize our communities. En-Vision Home Solutions has focused on serving the needs of people within the network by finding creative real estate solutions for people who need to sell their house fast. Sometimes life happens and people find themselves in distressed situations. The goal as a company is to help as many people as possible when navigating through these different real estate situations. We want to help families sell their homes quickly and for a fair cash offer. When people ask, “How Can I Sell My House Fast Columbia SC?” or "Stop Foreclosure in Columbia SC" The solution becomes identifying exactly what these people need. As Columbia's most trusted home buying company, En-Vision Home Solutions has developed an Innovative approach to serving homeowners in the greater South Carolina and Atlanta areas. "At the very core of the business, we are in the problem-solving space." Real estate investing has less to do with real estate, and more to do with helping the people we are called to serve. Some of the best benefits of working with their company are the fact that the seller is not responsible for paying any real estate commissions, closing costs, or any hidden fees outside of the purchase price. It has been a large focus within the business model to come from a place of service when working with homeowners within their sphere of influence. “A simple shift in mindset will not only empower a team from within, but it will also allow those same beliefs to impact the people who we are serving in the long run,” says Ben Lovro. These strategies have allowed En-Vision to rise to the top in their sphere of influence. Many people have begun to question if these We Buy Houses Companies are Legitimate in Columbia SC. Unfortunately not all of these We Buy Houses companies are created the same. En-Vision Home Solutions has been standing in the Gap and ensuring that people are treated with open and honest communication. This is the first key to developing Market Authority in the industry. Everything begins and ends with credibility. if these companies do not have client testimonials and proof that they have helped people out in the past, it's probably not the best decision to choose to do business with them. So what has led to the overall success open En-Vision Home Solutions? Quite simply, they have not allowed the numbers to outweigh their relationships. "We are called to help people" "This is our space, and this is our calling." By providing the best value and resources to the people that we work with, we will ultimately build success in anything that we do. By passing these values down to the organization, Ben Lovro makes sure to host weekly meetings with the team to open up discussion topics and talk about what's working, what's not, and what can be improved within the business. "As long as we are constantly seeking to improve, we will maintain a slight edge in the market," says Ben Lovro. The success of a company begins and ends with leadership. The leader is called to stand in the Gap and two instill company values to the team, to empower them with the tools that they need to be successful.